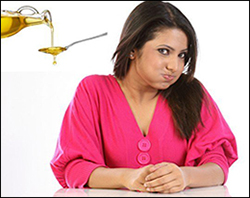 Oil pulling involves swishing oil in mouth on empty stomach for 10 to 20 minutes to draw toxins out from the body. Oil pulling improves oral health, skin and overall health. 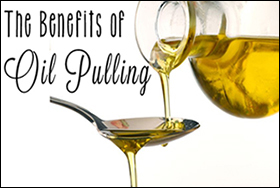 Oil pulling is an ancient Ayurveda method of treatment. 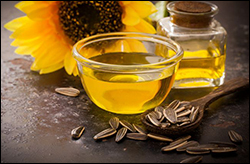 This method was used 3,000 to 5,000 years ago, oils like sunflower and sesame oils were very much effective for bleeding gums, tooth decayed, dried throat, oral malodor, cracking lips and also to strengthen our teeth, gums and the jaw. In Oil pulling there are two oil pulling methods with different processes. Gandusha and Kavala Graha. Gandusha - in this we fill our mouth with oil. After holding it for three to five minutes we then spit it out. Kavala Graha - In this method, a tablespoon of oil is placed in the mouth for 2-3 minutes swished and then spit out. Firstly the most important is selection of good quality vegetable oil. On waking up in morning, the first thing to do is drink a glass of water and let your saliva flow. Then fill one tablespoon of vegetable oil into your mouth. After that Swish the vegetable oil inside your mouth for around 5-20 minutes. Then Spit out the oil without swallowing it. Wash and rinse your mouth properly and start with your day. Many of us don’t know but Oil also extracts oil. Toxins do have oil or lipid too. With oil pulling we attract as well as pull out bad and toxic substances from our skin and body. 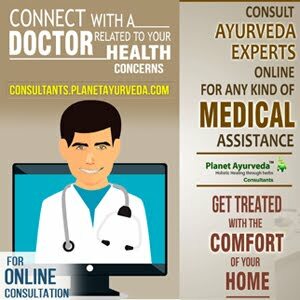 Oils like Sesame oil, coconut oil and turmeric all many good effects on body. Sesame and coconut oil along with turmeric oil are used for detoxifying or “pulling”or attracting toxins from our skin. Oils are naturally lipophilic, which clearly means that they attract other oils. Layers of our skin i.e the fatty layers are actual discarding grounds for fat-soluble toxins. When oils are applied to our skin, they start to attract toxic fat molecules to the skin surface thus cleansing them through our body organ -the skin. To prevent disease and maintain good health it is very important to get rid of harmful Bacteria, fungi, viruses and other germs that reside in our mouth. Sesame Oil - Sesame oil improves hair, skin health, cure dental problems, improve the digestive process, and lower inflammation. Sunflower Oil - Sunflower oil is rich in Vitamin E and low in saturated fat. Olive Oil - Olive Oil Contains Large Amounts of Antioxidants. Coconut Oil - Coconut oil is high in natural saturated fats. By increasing the HDL in the body, it helps promote heart health and lower the risk of heart disease. Cod Liver Oil - Cod liver oil has high Source of Anti-Inflammatory Omega- Fatty Acids. Cedar Nut - Cedar nut has wound-healing properties, rejuvenates skin and makes supple and smooth, eliminates dandruff, brittleness and hair loss. Canola Oil - Canola oil reduces skin problems and ageing signs like acne, fine lines, wrinkles, blemishes and spots. Walnut Oil - Walnut oil improves blood circulation. Castor Oil - Castor oil is beneficial to skin and hair. Black Cumin Seed Oil - Black cumin seed oil has been used for health. It improves cell growth. Safflower Oil - Safflower oil helps in weight loss and hair care, boost skin quality, and boost the immune. To avoid the formation of biofilm it is important to brush your teeth and rinse your mouth properly after swishing oil inside your mouth. Avoid swallowing the oil .After swishing, the oil is full of toxins and bacteria. If we swallow it, it can result in bad consequences for your health. Don’t use the oil if you are allergic to it. Avoid it if you are sensitive to it. Never gargle. Only vegetable Oil should be swished inside the mouth. Oil pulling to be practiced in the morning only, as soon as you wake up. To make it more effective do it before consuming food or fluid. Oil pulling is not safe for children below the age of 5 years. Children might swallow the oil and vomit or suffocate themselves unknowingly.